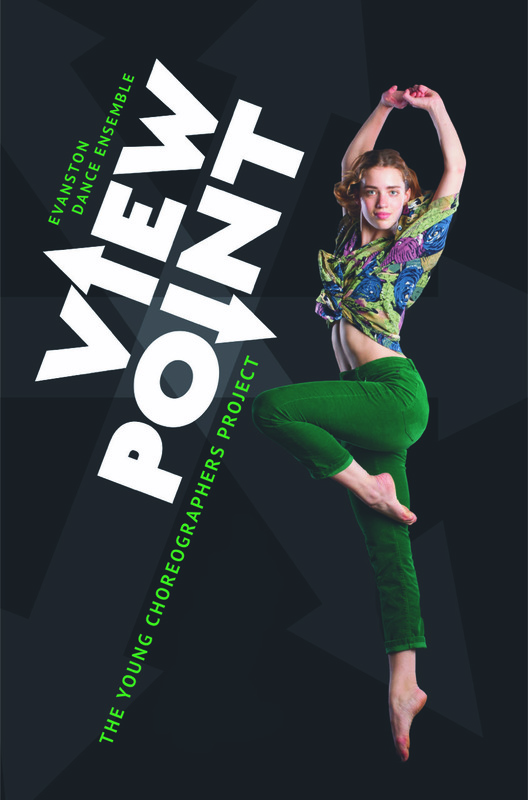 We recently published 4PHOTOS Part 1 for EDE’s Viewpoint, featuring four of the eight young choreographers soon to be showing the fruits of their choreographic labor this coming weekend at Studio5 at Dance Center Evanston. Now in its fourth season of production, The Young Choreographers Project gives the teens in Evanston Dance Ensemble to create and produce an original choreographic work. Each of the eight young choreographers is paired with a professional mentor from the Chicago dance community. This year’s mentors include Enid Smith, Stephanie Paul (Be The Groove/Chicago Dance Crash), Julie Cartier, and EDE Artistic Directors Béa Rashid and Christina Ernst. An additional two works from EDE Alumni Shelby Moran (Thodos Dance Chicago/Visceral Dance Chicago) and returning guest artist Keesha Beckford round out the program. DancerMusic’s Kristi Licera now brings you Part 2, featuring the remaining four young choreographers. As I got ready to sit down with these young choreographers, I could not help but reflect on my own days as a teen in the arts. Just like these young ladies, I spent hours and hours rehearsing under the fluorescent lights of my childhood dance studio, happily leaping about and finding determination through each technical and creative challenge. The big difference is, I never got the incredible opportunity that Evanston Dance Ensemble gives their dancers to fully produce an original, choreographic work under professional mentorship – at least not until I got into college. The fact that EDE Artistic Directors Béa Rashid and Christina Ernst provide this opportunity to their dancers creates a tidal wave of positive influence in their lives in and outside of the studio. The fact that EDE Artistic Directors Béa Rashid and Christina Ernst provide this opportunity to their dancers creates a tidal wave of positive influence in their lives in and outside of the studio. Sarah Parisien is a Sophomore at Evanston Township High School, and has been a part of the EDE family for four years; two in EDE2 and two in EDE. She has been a dancer at Dance Center Evanston for 12 years and enjoys dancing and choreographing. Outside of dance she likes to babysit, spend time with family and friends, and take pictures. This is the first piece that she has ever choreographed and hopes you enjoy the piece! Kristi: For the younger dancers who will be choreographing in the years to come, what advice do you have? Anne: Trust yourself and your movement. Don’t care if it looks strange. If a choreographer gives you something that looks and feels strange, nine times out of ten it will look amazing. Trust yourself and have fun with it. It might seem a little scary because you’re being vulnerable. Trust your cast and try not to judge yourself. It’s a process and you can just keep going and experimenting. If a choreographer gives you something that looks and feels strange, nine times out of ten it will look amazing. Trust yourself and have fun with it. Kristi: What challenges have you set forth for your cast in Viewpoint? Anne: I personally want to push my cast physically, artistically, and mentally. The majority of my cast are freshman and sophomores. Most of them have not really settled into their bodies yet and are used to slow, melodic movement. My movement is punchy and fast, so I want to break them out of their shells. The piece is also regimented, so they will need to be sure to hit specific counts – not everything is loosey-goosey. The quality of movement might be loose, but the structure of the piece is tight. I want my cast to come out of this stronger than they were before. Caelen Behm is a Junior at Evanston Township High School, and this is her first year in the Evanston Dance Ensemble. Her favorite style of dance is modern/contemporary. This will be her second time choreographing a piece for a show. Outside of dance, Caelen enjoys finding new music, writing, and driving around with friends. She’s loved being a part of the YCP process, and is super excited for the season ahead! Chana has been dancing with the Evanston Dance Ensemble for 2 years, and has been dancing at DCE for 11 years. This is her second time choreographing but her first time on other dancers. She is an avid lover of many different forms of visual art, such as sculpture, watercolor, and drawing, and she has a fascination with human anatomy. Chana comes from a family of 8 kids and is a student at Chicago Waldorf High School. Kristi: Is there anything specific that you are most looking forward to as a choreographer for Viewpoint? I want to push myself out of my comfort zone choreographically, and push the limits of what we expect pointe work to be. Chana: What I want for myself and my cast is to push ourselves to the limit and explore interesting things en pointe. I want to push myself out of my comfort zone choreographically, and push the limits of what we expect pointe work to be. There are five opportunities to see these young artist’s debut their work. Performances will take place at Studio5 at Dance Center Evanston November 17-19. Learn more by about Evanston Dance Ensemble by visiting evanstondanceensemble.org/ede/. Purchase your tickets and support EDE at viewpoint.brownpapertickets.com.